Cream has just announced their Ibiza schedule for 2012. Returning to Amnesia to take control of Thursdays nights, Cream have pulled together some of the biggest names in electronic music with performances from the likes Paul van Dyk, deadmau5, Above & Beyond, Calvin Harris, Laidback Luke, Eddie Halliwell, Example featuring DJ Wire, Gareth Emery, Sander van Doorn, Benny Benassi, John O’Callaghan, AN21 & Max Vangeli to name a few. Continuing his residency is Paul van Dyk who returns as exclusive resident to host eight parties across the season. As one of dance music’s leading statesmen, the Grammy nominated DJ/producer needs little introduction as he returns to the helm of the Main Room. Following their overwhelmingly successful residency last year Above & Beyond are back for an exclusive six dates including a very special Anjunabeats party on Thursday 13th September – expect an electrifying performance featuring their trademark interactive production. This year Cream welcome Gareth Emery, as one of dance music’s most influential and innovative DJ/producers he signs as new resident for 2012, this will be Gareth’s first time performing for Cream in Ibiza and he debuts with six dates across the season. Cream have another exclusive in the form of deadmau5, who returns to the White Isle to kick off Cream’s summer season at their opening party on Thursday 14thJune. This will be his only show in Ibiza and to mark the occasion he will be bringing his spectacular cube production to the island for the very first time. Over the last few years the Mixmag Terrace has taken on a life of its own and this year is no different with some of the leading bastions of house music signed up for 2012. First up is Calvin Harris, following a series of standout performances last year he returns as exclusive resident for a series of eight shows along with Laidback Luke who returns to host an array of Super You&Me parties. Together they will be joined by the likes of Example featuring DJ Wire, Benny Benassi, Fake Blood, AN21 & Max Vangeli, Chris Lake, Michael Woods, Burns, Sunnery James & Ryan Marciano, Sandro Silva, Oliver Twizt and Tim Mason. 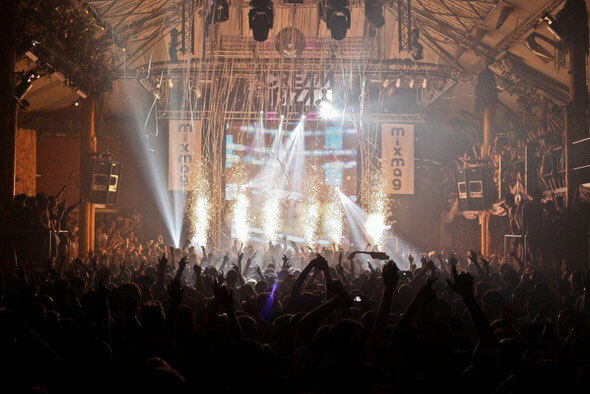 In the Main Room, Cream favourite, Eddie Halliwell, returns as resident to perform seven shows over the summer. Having worked with the likes of Depeche Mode and The Killers, one of the world’s most in-demand DJ/producers Sander van Doorn joins the bill for three dates, along with regular performances from the likes of John’O Callaghan, Adam Sheridan, Ben Gold, Gareth Wyn, Mat Zo, Sean Hughes, Ben Santiago, UNION, Andy Mac, James Dutton, Anthony Probyn and Jemmy. Cream kicks off the summer on Thursday 14th Juneand will close out their season on Thursday 20th September. Advance tickets on sale now. Info: www.cream.co.uk / Tel: +44 (0) 151 707 1309. Cream every Thursday @ Amnesia, San Rafael, Ibiza. Midnight-late. 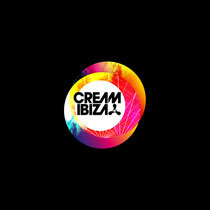 Info: www.cream.co.uk /www.facebook.com/officialcreamibiza / Tel: +44 (0) 151 707 1309.